"It was a dark and stormy night. Just kidding, who starts a story that way? I mean, other than that cartoon dog with the typewriter." 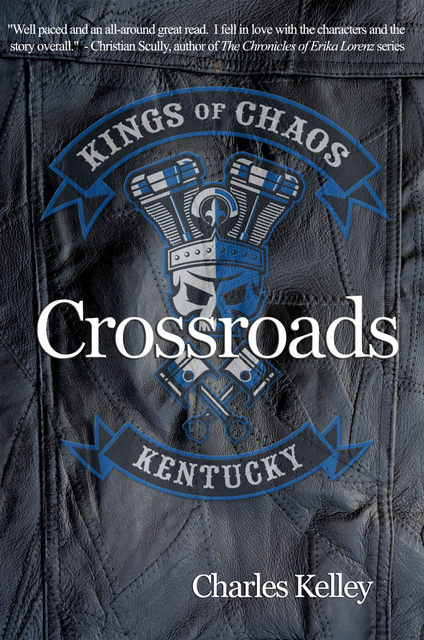 Meet Will, the guy whose childhood was ruined by an outlaw motorcycle club. Now that he's grown, he's decided to do something about it. That something may allow the motorcycle club to ruin his adult life too. When the family member of a politician is found dead from a drug overdose, Will is recruited to run the investigation. Will returns to his tiny hometown of Rough River Falls, Kentucky to save it from itself and exact vengeance for his missed youth. Can he infiltrate a group of outlaws and keep his hidden agenda a secret, or will they find out what he's up to? Can one man actually make a difference when he faces off against a criminal organization? Is there anyone worth the hassle of saving in Rough River Falls, or is the whole town a lost cause? Hold on tight, it's going to be a bumpy ride!